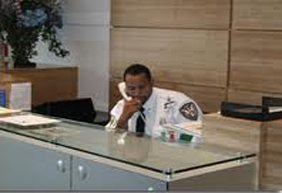 CSP provides security services for a variety of businesses and industries. Along with patrolling your business we can patrol your private community to assure the safety of the community. County Security Police Patrol Services are a cost-effective alternative to on site security personnel in many environments or a valuable asset to add to on site stationery security. For large properties have your gates maned by stationary security officers and a patrol unit checking the property. In employed properly, patrol services can be a strong deterrent to crime and provide a number of valuable services, such as alarm response, after hours control of locks and gates, and periotic inspection of key locations of concern. Patrol services of your community along with gate guards or a security K-9 can make a troublesome community into a safe haven for your families to play, grow, and enjoy. CSP offers several varieties of community patrol services. * Shared Community Patrol - This service is a cooperative security patrol shared between a few communities in close proximity of each other. To ensure that client properties receive close attention and fast responses, CSP organizes the location of all shared community patrols into very tight zones. This type of shared patrolling between communities can provide those services that each community wants at an affordable price for each since the costs are spread out between all. We also can patrol your community on bicycles, golf carts or on foot during special events and to gain access to those area's where motor vehicles can not get to. * Assigned Community Patrol - Our assigned community patrol services offer the same level of service as the shared patrol, except they never leave your property. In this situation the patrol unit is assigned exclusively to your property and the vehicle is clearly marked with your community's name. We also can patrol your community on bicycles, golf carts or on foot during special events and to gain access to those area's where motor vehicles can not get to. * Shared Commercial Patrol - This service is a cooperative security patrol shared between a few business or industries that are in close proximity of each other. To ensure that each client's properties receive close attention and fast responses, CSP organizes the location of all shared commercial patrol units into tight zones. This type of shared patrolling between business's can provide security services to those company's that would like to have security but do not have the full need or money for full time on site security officers. Our officers can check your doors to assure that they are secured, walk your property inside and out and check for anything that is out of the ordinary, Alarm response, K-9 patrol services and being in a certain location at a certain time to assure that all your staff gets to their cars safely. * Assigned Commercial/Industrial Patrol - In conjunction with stationary security officers or alone a security patrol unit on your larger property can assure that security gets the coverage that it needs and never leaves your property. Contact our Chief Operations Officer to plan out your security needs. located in New Milford, PA. Susquehanna County. 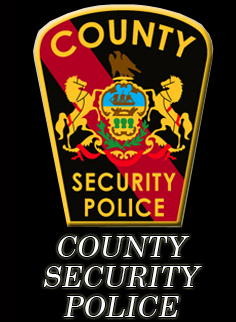 Contact County Security Police at (570) 778-3056 or email us here. County Security Police LLC. ©2014 - All Rights Reserved.